On this day, a dozen of scholars in history, religion, and the social sciences gathered at Occidental College for meals and conversations. Conference in name, the set-up and format rather resembled a workshop in the likes of the “Alternative Voices and Histories in Viet Nam” series convened by Christoph Giebel and Judith Henchy in Seattle during 2006-2010, or one of the intermittent workshops put together by Hue-Tam Ho Tai at Harvard or by Chris Goscha at UQÀM. Papers were circulated previously, and both presenters and moderators were asked to contribute to their critique and feedback. 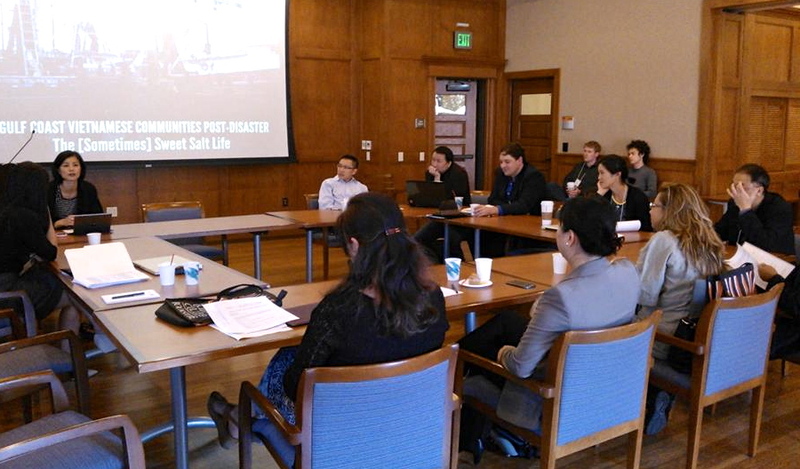 Which was the case at Oxy: short presentations followed by many comments, questions, and suggestions. The setting was small and intimate; the give-and-take was vigorous and enriching. It was a mix of senior and early-career academics; in fact, one of the participants successfully defended her dissertation only a few hours before hopping on a plane to Los Angeles. As more than one participant said afterward, there were “no egos in the room,” which enhanced the intended collaborative design. If the junior scholars at this conference were appreciated for their energy and enthusiasm, their senior counterparts must be commended for providing a terrific model of collegiality throughout the proceedings. Certain themes emerged from the presentations, whose topics could be gleaned from the titles in the web page below. On the whole, they sought to situate the studies of Vietnamese Americans away from over-theorized frameworks and, more important, to ground their interpretation in findings from fieldwork, archival research, and case studies. Possibly the most important takeaway is that Vietnamese Americans have been refugees, yes, but also political actors and organizers, intellectuals and cosmopolitans, sojourners to the U.S. and seekers of opportunities in Vietnam. Even the label “refugees” was complicated by at least one paper and subjected to a short but highly stimulating discussion. Vietnamese in America might have been victims of different forces – and this topic still needs more sorting out. But the presentations at this conference demonstrate convincingly that they have been agents and actors in a lot of ways. 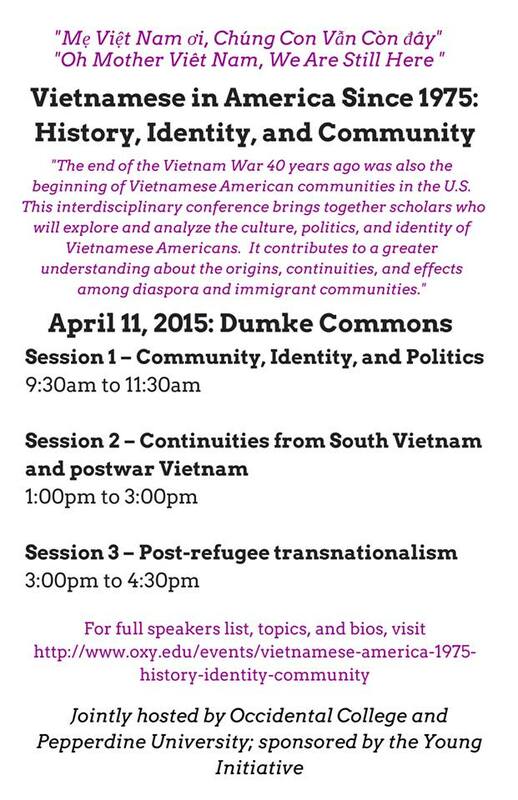 Another emergent theme was the diversity of formation and organization among Vietnamese American communities. The most prominent cases in point were Orange County, Houston, and the Gulf Coast communities, the last further variegated into particular histories and formations. The subject of anticommunism also saw a good deal of discussion out of two papers about it but also in other contexts. Still, another theme was the nexus between the U.S. and Vietnam. If some of the earlier scholarship tended to view Vietnamese Americans through the prism of the U.S., the presentations at this conference helped to shift the focus to the prism of the Vietnamese past and present. This report is incomplete without a mention of the role that fortune played in the making of this conference. The original idea for a conference and an edited volume on Vietnamese Americans came from the filer of this report. 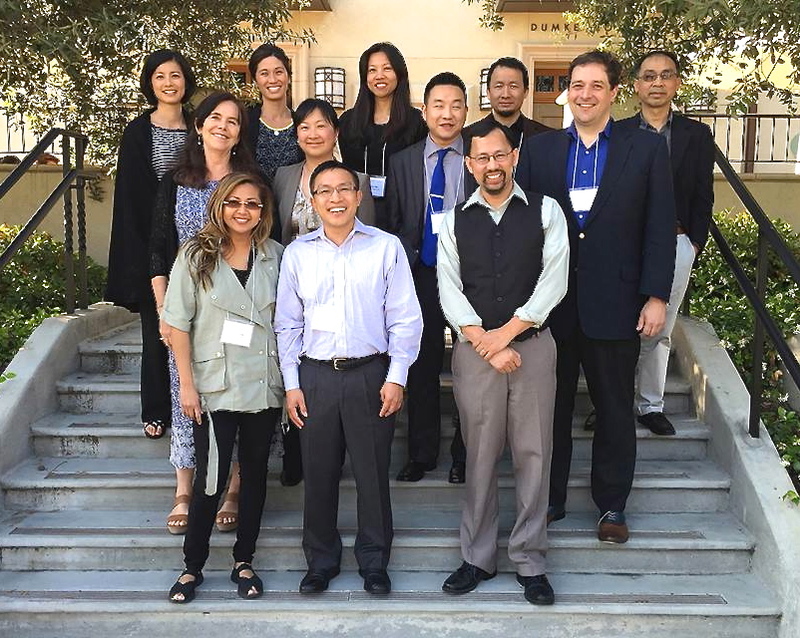 He surveyed the field – it included reading a lot of dissertations – and gathered interest from a number of scholars, especially Vietnamese Americans in the early stage of their careers. But his situation made it challenging to find the amount of fund for such an endeavor, and the possibility of a conference around the 40th anniversary of war’s end looked unlikely. Then luck intervened. While putting together a panel for a different conference, he asked an esteemed professor at a Research I institution to serve as discussant of the proposed panel. This scholar would have been terrific for this panel, but she had to turn down the invitation because of travels. He contacted another, whom he had never exchanged an email leave alone met in person. This scholar not only agreed to serve as discussant, but was impressed enough with the proposals to suggest collaboration towards a publication. One thing quickly led to another, and she successfully obtained the bulk of funding that led to this gathering. A word of gratitude, then, goes to Thần Tài, Fortuna, Lady Luck – and to Thu-huong Nguyen-vo for having to say no to the initial invitation. Có cái xui cũng có cái hên! In academia as in life, luck plays nearly as big of a deal as effort and talent – and for that we are grateful.